Health and dietary authorities like the Mayo Clinic have recognized the Mediterranean diet as being an important part of a healthy lifestyle that can reduce the risk of heart disease. With its focus on plant-based food, the Mediterranean diet has long been thought to be both curative and restorative. The fruits and vegetables, unrefined cereals, fish, and olive oil that make up the core of this diet all provide wonderful health and nutrition benefits. 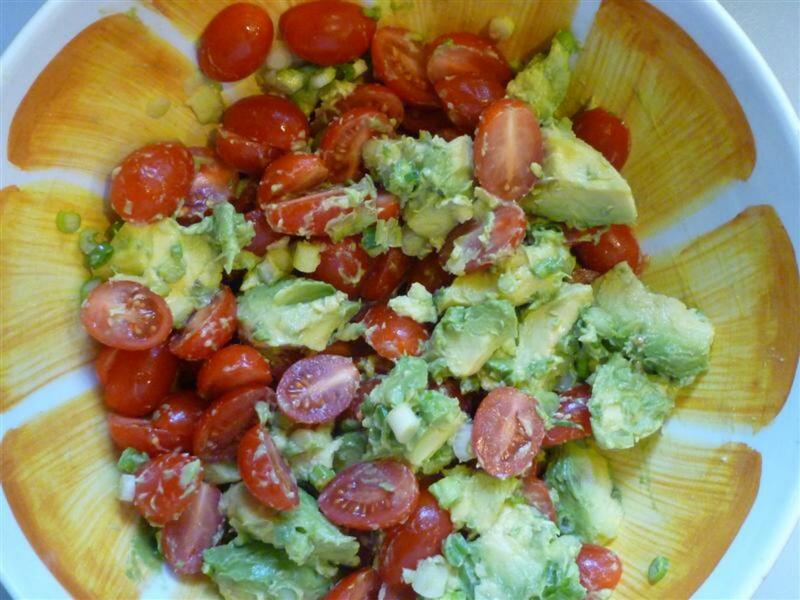 This tomato avocado salad is among my favorite salad recipes, and I usually make it at least once a week during the summer. It tastes so good and is so good for you. 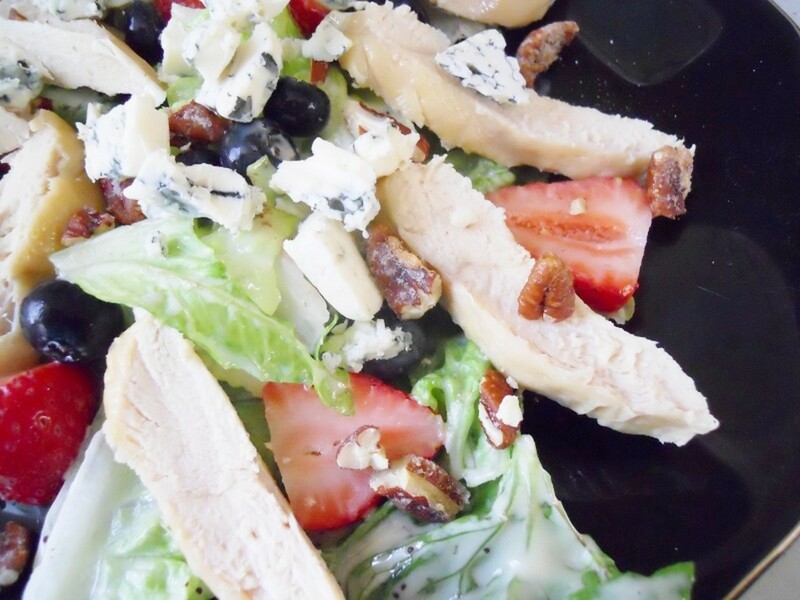 To crank up the nutritional benefits of this salad even further, this recipe calls for the addition of omega 3-6-9 oil. Don’t let all the oil in this recipe scare you off. Like olive oil, the health benefits of omega 3-6-9 oil are very well known. 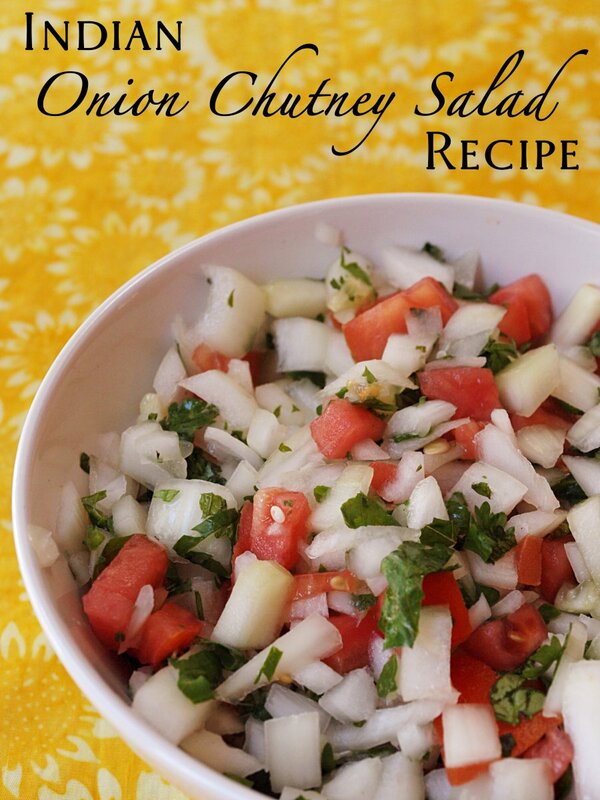 In addition, this wonderful salad recipe is ready in no time flat, and the fresh cilantro (coriander) and lime juice makes it just the thing to serve on a hot summer day. Have a look at the helpful video above if you have never peeled an avocado before. 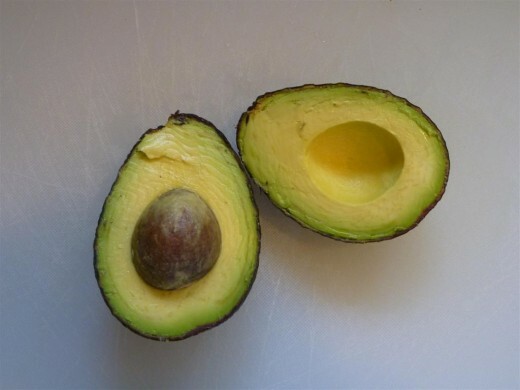 Cut the avocados in half lengthwise by piercing the skin with a paring knife until you reach the pit and then running the knife all the way around the avocado. Twist the two halves slightly to pull them apart. You can either scoop out the pit or carefully but firmly hit the pit with a large knife. This will allow you to lift the pit out (you may need to give it a slight twist first). 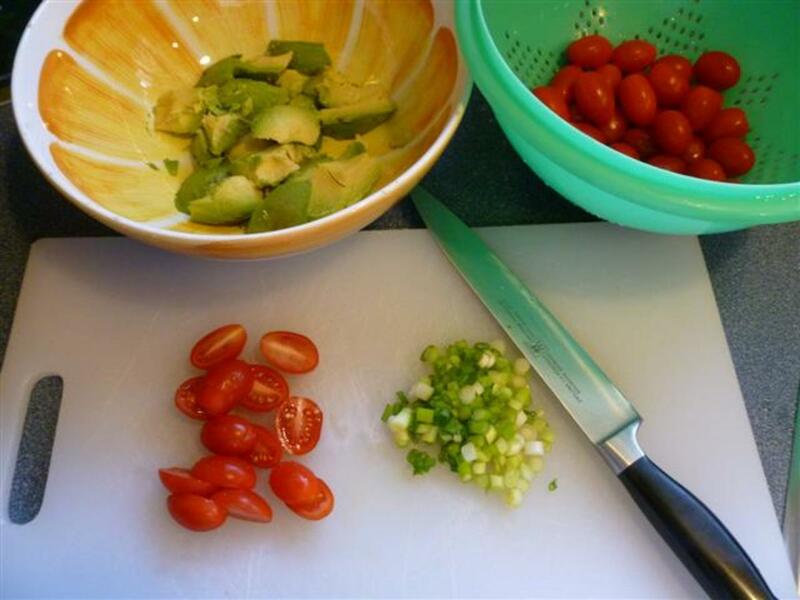 Using a spoon, scoop the flesh from the avocado into a salad bowl. Alternatively, you can score the flesh and pop it out by turning the skin inside out. 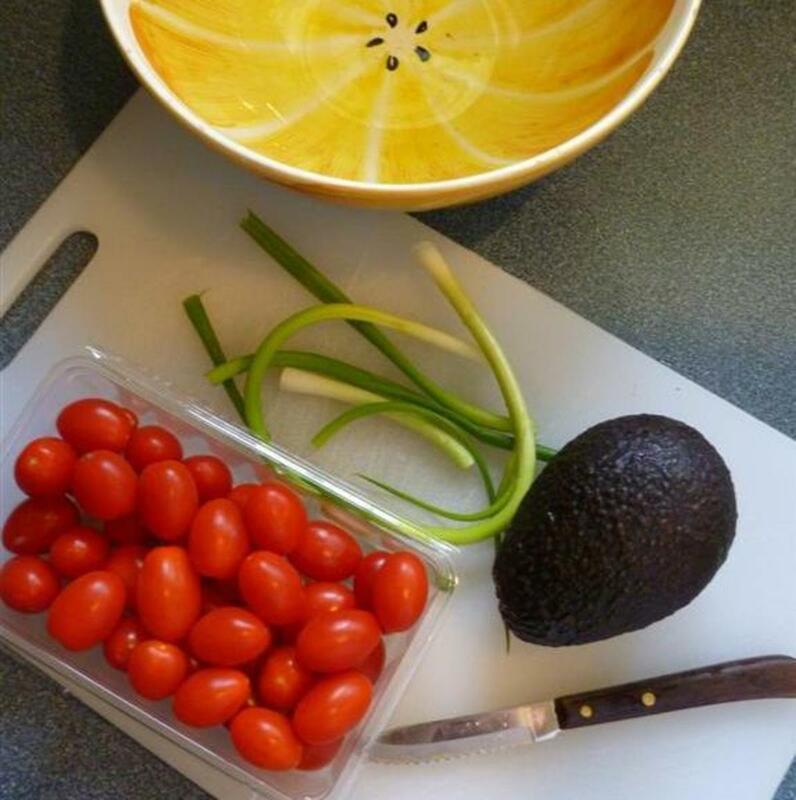 Cut tomatoes in half lengthwise and add them to the bowl. Dice the green onions into small pieces and add to the bowl, being sure to add some of the green parts as well. 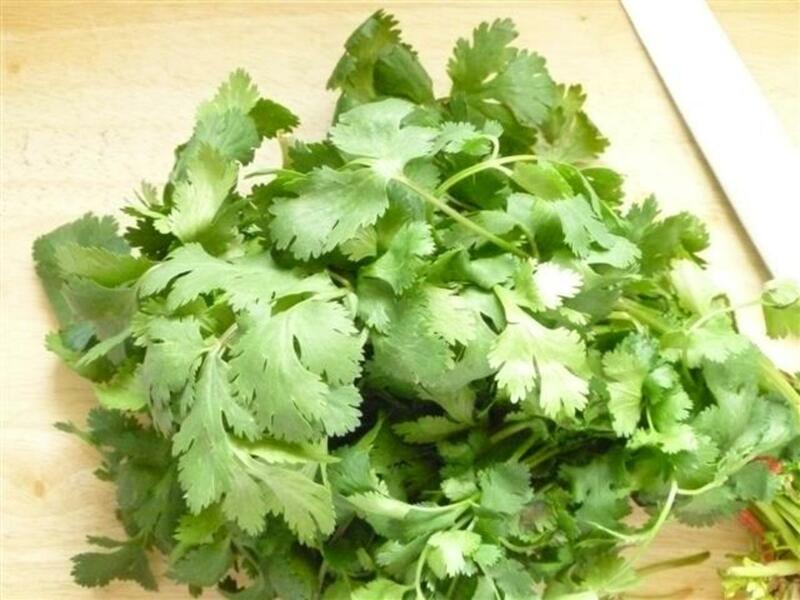 Chop the fresh cilantro (coriander) leaves and add them to the bowl. 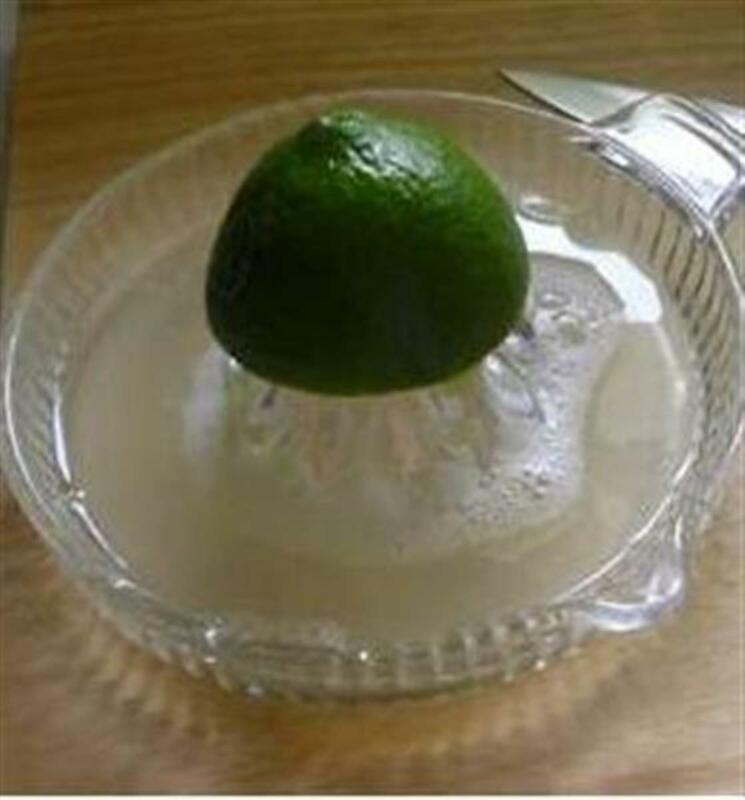 Juice ½ a fresh lime and pour the juice over top of the salad ingredients. Then add both the olive and the omega oils. Gently stir all of the ingredients together until everything is well mixed. To serve, spoon the salad onto individual serving plates. Enjoy! Is avocado a fruit or a vegetable? Find the answer below. Finding Ripe Avocados: To find ripe avocados, look for avocados that have darker skins and are slightly soft to the touch. If they are still a little hard, put them in a brown paper bag and leave them on the counter for a day or two to ripen. 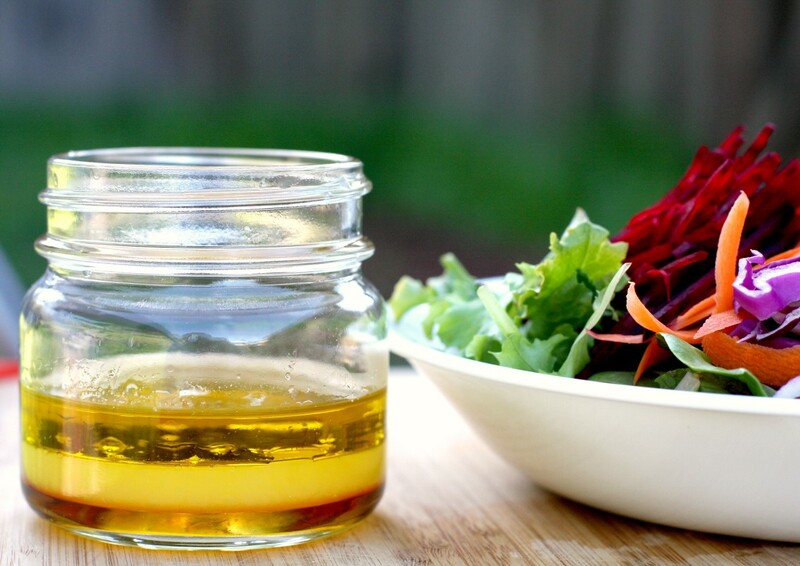 Finding the Omega Oil: Look for good quality omega oil at your local health food store. It is often found in the refrigerated section of the store. I like Udo's 3-6-9 Blend® which provides a 2:1:1 ratio of omega-3:6:9. Essential fatty acids (EFAs) are fatty acids that our bodies cannot manufacture, but that are required for the maintenance of good health. This means that we need to get these fatty acids from the foods we eat. Originally classified as vitamins when they were first discovered, omega-3 and omega-6 fatty acids were later classified as fats. Omega-9 fatty acids, though very beneficial to health, are not classed as essential fatty acids because our bodies have the enzymes required to manufacture them. EFAs are the source of almost all of the polyunsaturated fat found in our diets. Omega-3: These polyunsaturated fatty acids are found in oily fish including herring, sardines, salmon and anchovies. Flaxseeds are also a major source of omega-3. Several studies have shown that omega-3 fatty acids – especially EPA and DHA – are beneficial in preventing heart disease in humans. While some benefits of consuming omega-3s have already been proven and endorsed by bodies including the FDA and American Heart Association, other purported benefits require further study. Omega-6: These unsaturated fatty acids are critical for muscle and brain development, and for the overall wellbeing of the nervous system. Major sources of omega-6 include avocado, eggs, poultry, whole grains, nuts and oils including flaxseed, soybean and sunflower oils. Omega-9: Omega-9 fatty acid is a monounsaturated fat (but not an essential fatty acid) capable of lowering of cholesterol levels. Like other fatty acids, it also supports healthy inflammation responses within the body, and there is evidence that people with rheumatoid arthritis experience a reduction in pain when taking omega-9 and omega-3. Oleic acid, which is a member of the omega-9 family, is found in olive oil. As with anything that is beneficial, omega oils should not be consumed in excess. There are some indications that they can have serious side effects if consumed in large quantities. The most important factor in consuming these fatty acids is to get the ratio correct. North American diets are too high in omega-6 and are deficient in omega-3, and getting this ratio to where it should be is one of the keys to good health. In fact, there is mounting evidence that a proper ratio may also reduce PSA levels associated with prostate cancer (1). 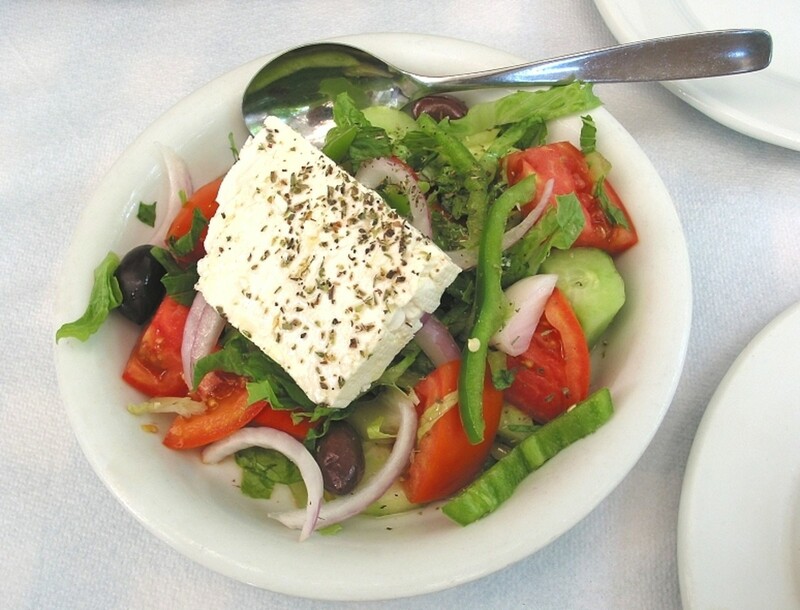 The Mediterranean diet is one that has a healthy balance between omega-3 and omega-6 fatty acids. Avocados are fruit. Tomatoes are also fruit...but that does not make this a fruit salad. Hi emily, it really is a great combination isn't it. 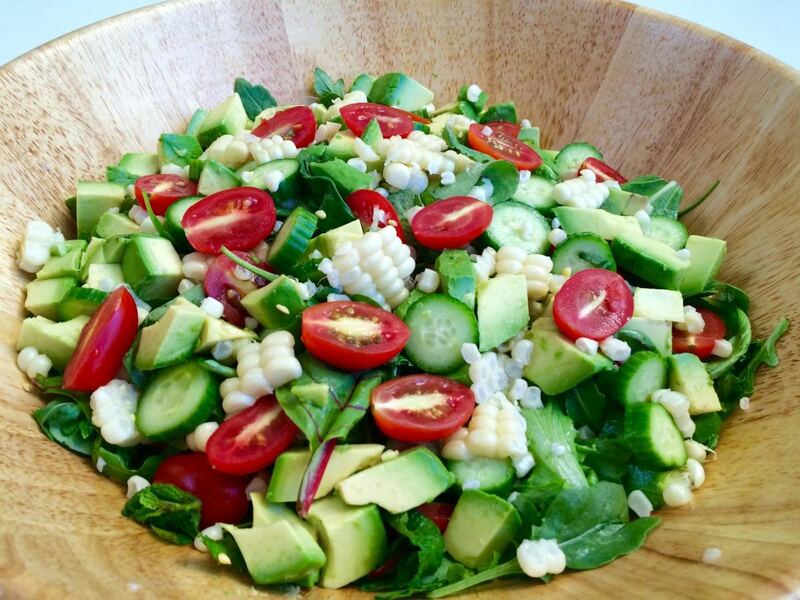 The coriander and lime juice gives this salad a nice lift. YUM! 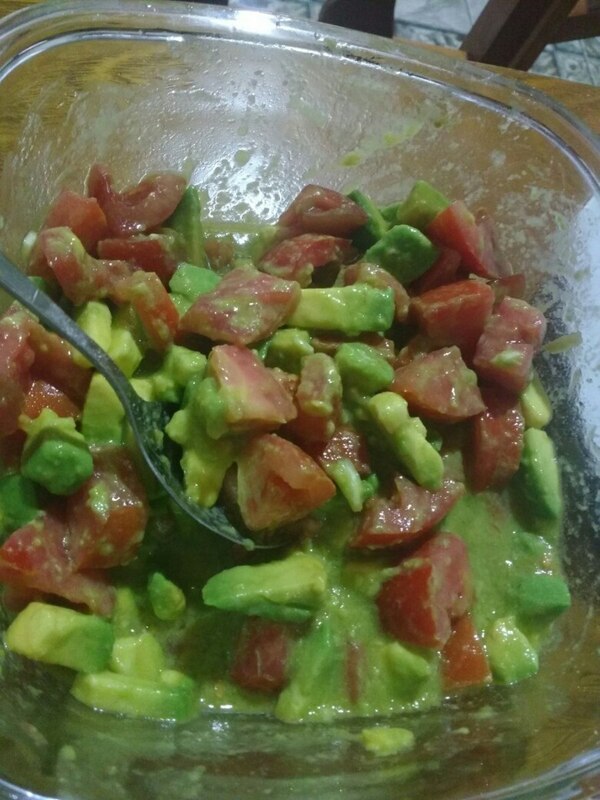 I love avocado and tomatoes, I made this a few weeks ago, I'll make it again soon as I have a ripened avocado ready to use :-) Great photos! hi Thelma. You are welcome! Please let me know how you like it once you have tried it. 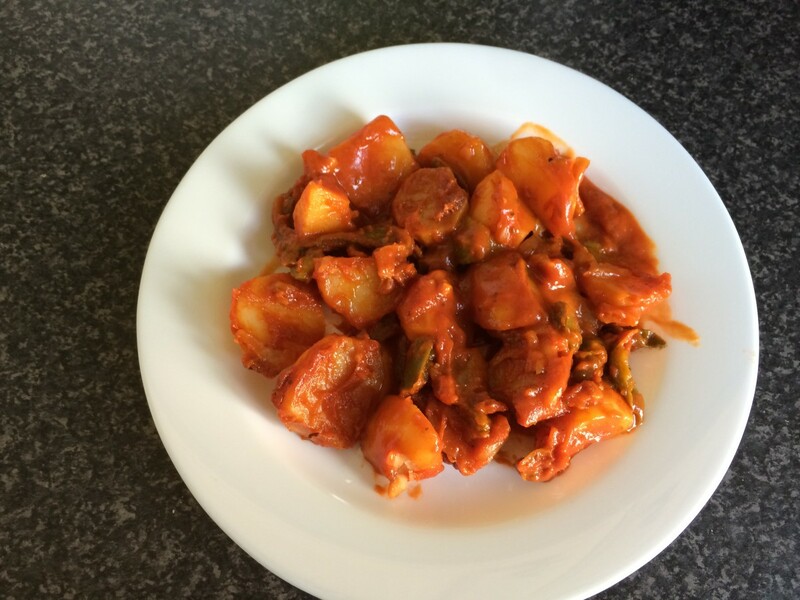 Hello livingpah and thank you for reading and voting :-) It is so easy to make and tastes really good. The lime and coriander give it a nice boost! Wow! Looks very simple to make, healthy and nutritious. Great information and voted up! I love a good avocado salad. Yours is one that would be a daily meal for me .... if I could talk my hubby into it. Thanks tobusiness. I hope you enjoy it! This looks tasty and healthy, you've packed a lot of useful information here. Definitely one to try. Definitely making this. Thanks much! Hi Om, glad you like it :-) Somehow I thought you would enjoy this recipe, and I'll bet you can find the best avocados where you are. 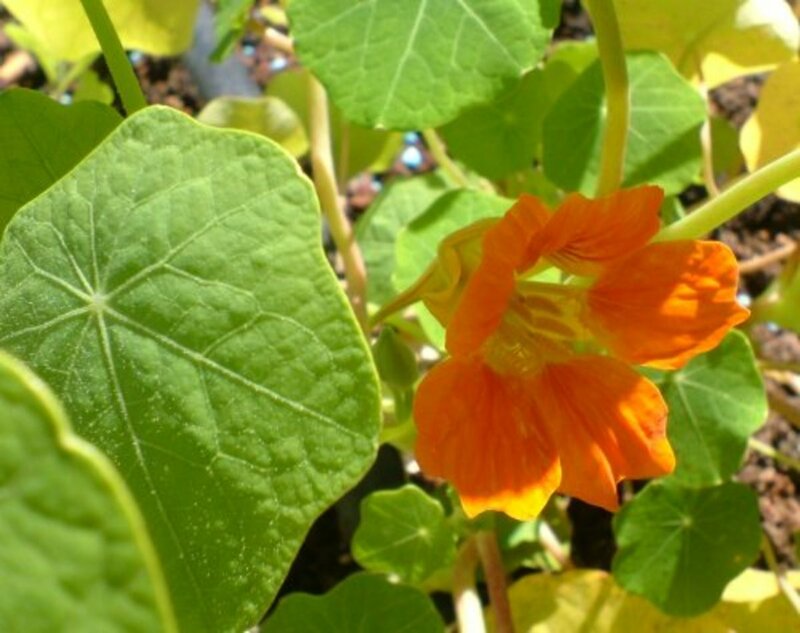 Hi aviannovice, it really is good and good for you. And so easy to get it ready if you have all the ingredients in the fridge. Hi Crystal. thank you so much! Looks like a good salad. I love this recipe. I can't wait to try it. Thank you. This is a great recipe! Voted up.